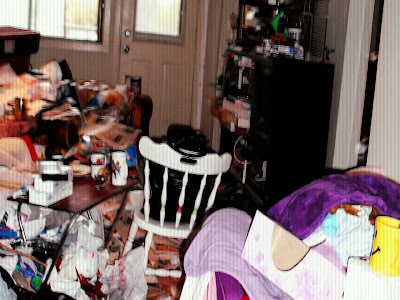 Is hoarding a mental illness? The Vancouver Sun recently published an article, Doctors debate whether hoarding a real mental illness, examining how hoarding is similar, an yet, different to mental illnesses such as obsessive compulsive disorder. Do you think hoarding should be classified as a mental illness? 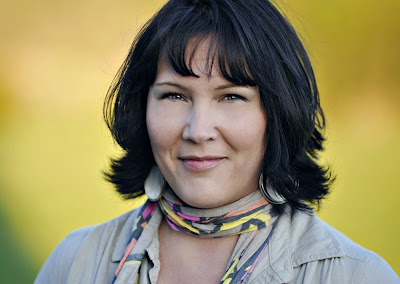 One of the 2010 Faces of mental illness, Jennifer Ashawasegai, discusses her recent visit to Hiawatha First Nation where she spoke about her experiences living with bipolar disorder. Hiawatha First Nation is a beautiful community on the north shore of Rice Lake. I was invited by the Community Health Nurse, Martha Calback-Ladouceur to speak about my experiences living with bipolar disorder. I was very nervous, since in addition to living with bipolar disorder, I also experience extreme social anxiety at times. The talk in late July was also the first time I spoke publicly to any group. A handful of community members showed up for the 'lunch and learning' session. It was a very informal setting and held outdoors, which was a real plus for me, and helped alleviate some of my anxiety. The group was curious and respectful, and one woman came out and told the group she also lived with bipolar disorder. She was diagnosed more than a year ago. Another community member talked about a niece and a nephew who have bipolar disorder. We mostly focused on coping mechanisms. I learned quite some time ago how to live with my disorder, but sometimes I need a refresher, which is what I got out of the talk at Hiawatha First Nation, because we spoke about balance through food, sleep and exercise. Those are the three important things I must always remember to do. That is to have proper sleep - and that's not always possible when I'm going through a hypo-mania, because I feel I need less sleep; a good diet - with not too much sugar because I can't handle the 'crash' from sugar; plus adequate exercise. I've recently returned to the exercise part, and am feeling much better and feel like I am beginning to maintain a steady amount of energy. Exercise also helps to alleviate or stave off the dark beast that is depression. I would like to say Chi-miigwetch (thank you) to the community of Hiawatha First Nation for inviting me, for the great food and for their respectful and honest discussion. 2010 Face of Mental Illness, Marie Asuncion, vlogs about her personal strategies for recovering from mental illness. What are your strategies for working towards recovery and living successfully with mental illness?